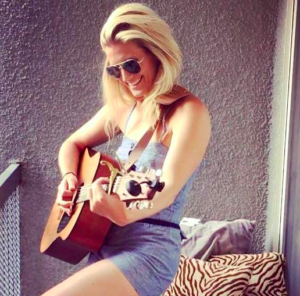 Brooke Ansley has a fun new single out now. Here is a new artist for us here on CML. It looks like this is her first official release. It looks like an independent release. The song sounds good and could get her some attention in the country world. It’s got a fun style. It’s got some different music elements. A little pop. A little country. It’s just kind of something unique that makes you smile and feel like having a good time. It’s almost got a little Jimmy Buffett in it. Just kind of playful and something you could see Jimmy having fun with in concert or something like that. Anyway, the song seems to be about a woman that’s getting over a guy. Sounds like something went down. She’s been feeling a little bad, but is now ready to get to work on getting over him. The theme is Whiskey Wednesday. I don’t know that I’ve ever participated in one of those. Whiskey has always been something that’s been love/hate with me. I like it, but it never sits well with me. Better to just avoid. The thing with this song is that the whiskey is needed, but it’s only Monday. Well, that’s no going to be a problem. This girl is going out and she’s going to have a good time. She’s going to forget the old guy and maybe look for a new one. But it’s not just about that. It’s about getting back to living the good life.